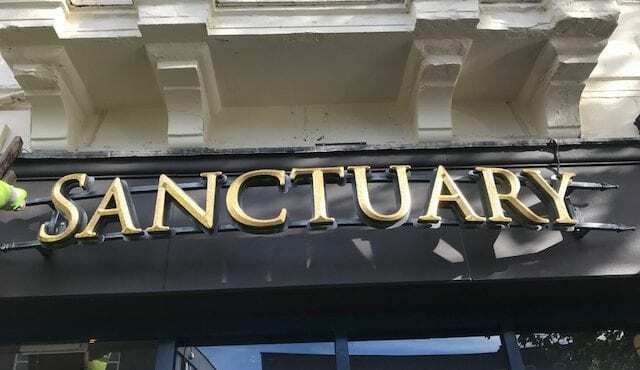 Sanctuary is a new cocktail bar opening in Newcastle-under-Lyme at the end of this month (November 2018) and it now boasts some of our most stylish and intricate signage. The latest Revolution venue gets our bespoke signage - and it's party time on launch night! Internal and external signs and signwriting for new London eatery.